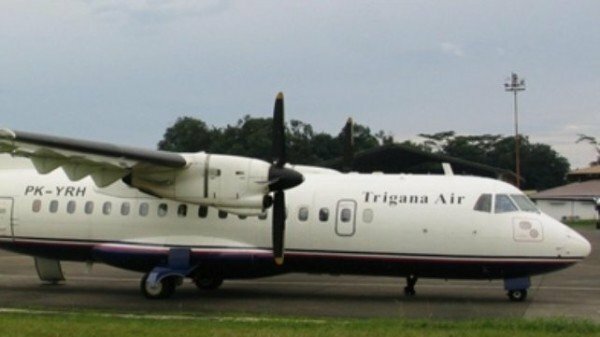 The wreckage of Trigana Air plane carrying 54 people has been found in the remote western Papua region, officials say. The Indonesian plane lost contact with ground control at 14:55 local time as it flew from Jayapura, the capital of Papua province, to the town of Oksibil. Indonesia’s transport minister said the aircraft had been found in the Bintang highlands region, not far from its intended landing site at Oksibil airport. It is not yet known if anyone survived. The wreckage was discovered by villagers, who then alerted officials. The ATR42-300 twin turboprop plane was carrying 44 adult passengers, five children and infants, and five crew. The plane took off from Sentani airport in Jayapura at 14:21, but lost contact with air traffic controllers half an hour later. An official search was suspended due to poor light. Oksibil, which is about 175 miles south of Jayapura, is a remote, mountainous region, which is extremely difficult to navigate. Bad weather is believed to have been a possible reason for the crash. A second plane, which had been sent to look for the missing one, was forced to turn back because of dangerous flying conditions. The airliner has been on a European Union blacklist of banned carriers since 2007. All but four of Indonesia’s certified airlines are on the list. Last December an AirAsia plane crashed in the Java Sea, killing all 192 people on board – and in July a military transport plane crashed in a residential area of Medan, Sumatra claiming 140 lives.